Reservoir management is concerned with the geoscience and reservoir/production engineering required to plan and optimize the development of discovered or producing oil and gas assets. 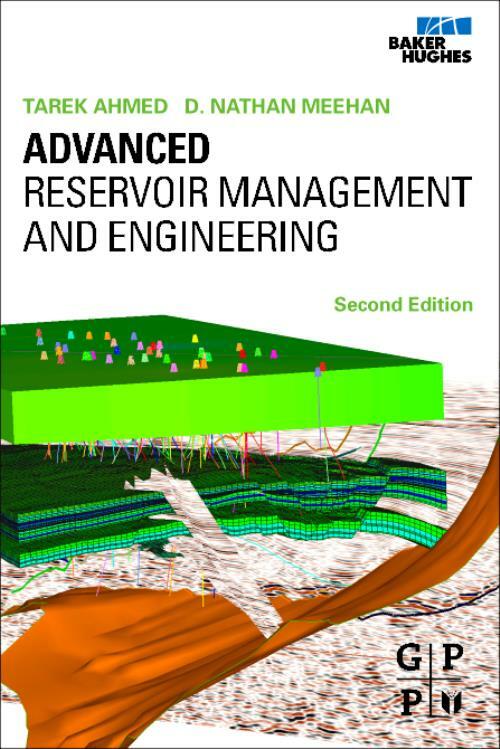 One of the only books to cover both management and engineering issues, Advanced Reservoir Management and Engineering is redesigned to be the only book you need throughout your career. Written by two of the industry's best-known and well respected reservoir engineers and managers, this new edition offers readers a complete guide for formulating workflow solutions on a day to day bases. Authoritative in its approach, the book begins with the theory and practice of transient flow analysis and offers a brief but thorough hands-on guide to gas and oil well testing. Chapter two documents water influx models and their practical applications in conducting comprehensive field studies, widely used throughout the industry. Essential topics such as Type-Curve Analysis, unconventional gas reservoirs, and gas hydrates are also covered. The book moves on to provide a clear exposition of key economic and financial management methods for evaluation criteria and cash flow analysis, analysis of fixed capital investments and advanced evaluation approaches. This is followed by a frank discussion of advanced evaluation approaches such as integration of decision analysis and professional ethics. Readers will find the website a valuable guide for enhancing their understanding of different techniques used for predicting reservoir performance and cost. The website will also include information such as properties, tables and simple calculations. This combination book and website arrangement will prove particularly useful to new professionals interested in increasing their skills or more experienced professional wishing to increase their knowledge of current industry best practices. The 2nd Edition of the book includes 3 new management chapters, representing a 30% increase over the previous edition. The new subjects include step by step approach to cash flow analysis, analysis of fixed capital investments, cash flow consequences, maintenance as well as a detailed approach to managing working capital. This is followed by a clear exposition of advanced evaluation approaches such as integration of decision analysis and economic evaluation and professional ethics.